TC & BAR There are 11 products. 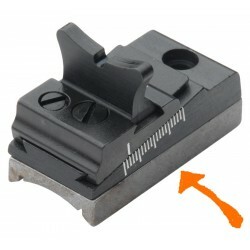 LPA rifle rear sights with micrometrical adjustment for windage and elevation provided by two hardened click screws. Fixing with two 3 ma or 6/48" screws (to be specified). 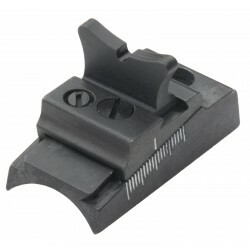 LPA base with folding rear sight adjustable in windage and elevation. For barrels ø 19 ÷ 21 mm (.748 ÷ .826).Windage adjustment 3 mm (.122).Fixing: with two 3 ma or 6/48" screws (specify).Center to center distance: 14,3 mm (9/16”).BAR01/M: height adj. 11,5÷13,5 mm (.445÷.525).BAR01/H: height adj. 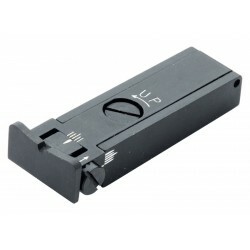 13,5÷15,7 mm (.525÷.620). 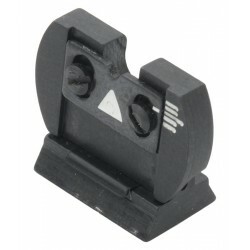 LPA folding rear sight with windage and elevation adjustment.Dovetail: 3/8” X 30° X 2,5 mm (.0984) height.TC83/M height adj. 11 ÷ 13.4 mm (.433 ÷ .527).TC83/H height adj. 13,4 ÷ 15,8 mm (.527 ÷ .622). 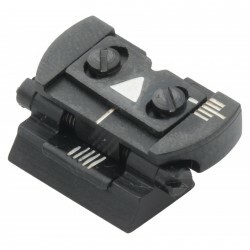 LPA rilfle base with folding rear sight adj. in windage and elevation.For barrels ø 19 ÷ 21 mm (.748 ÷ .826).Windage adjustment 3 mm (.122).Fixing: with two 3 MA or 6/48" screws (specify).Center to center distance: 14,3 mm (9/16”).BAR03M: height adj. 10,8÷12,8 mm (.422÷.500).BAR03H: height adj. 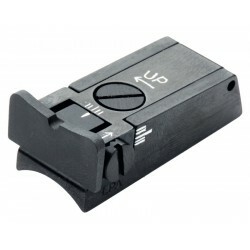 12,8÷15 mm (.500÷.620). 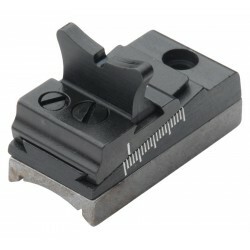 LPA rear sight with dovetailed windage and elevation adjustment. 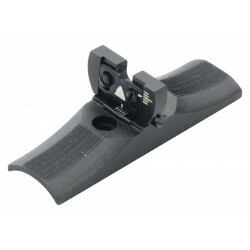 Interchangeable blades in four different heights and one sight aperture. Standard for barrel: ø 19÷21 mm (.748÷.825). Standard type for rifle with radius (fixing by two screws, 3 ma or 6/48"). 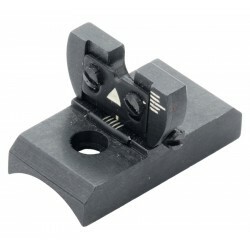 LPA rear sight with dovetailed windage and elevation adjustment. Flat type (fixing by two screws 3 ma on SB01). 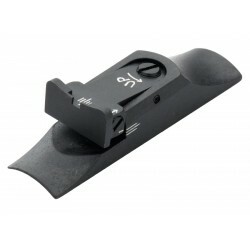 Interchangeable blades in four different heights and one sight aperture. 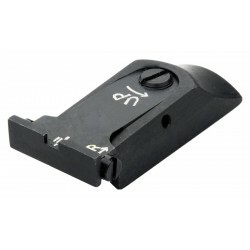 The SB01 is the adapter base for BAR05P to be welded on the barrel (for shotgun); it isn't included in the package. LPA adapter base for BAR05P to be welded on the barrel of diameter 11,7 - 13 mm (for shotgun).